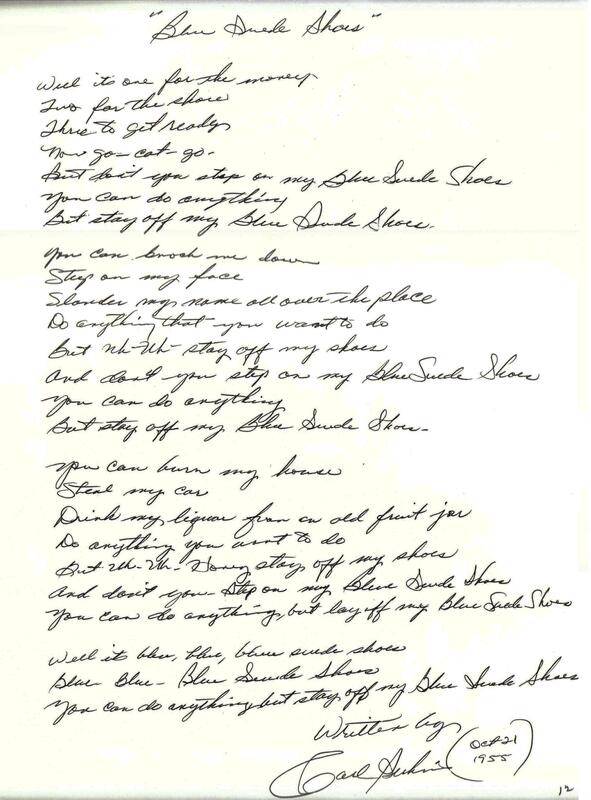 With his smash 1956 hit classic “Blue Suede Shoes,” Carl Perkins virtually defined and established rockabilly music in the rock and roll cannon and launched Sun Records into national prominence. Carl Perkins is regarded by many as one of the founding fathers of rock-and-roll. Although he placed only one record in the pop top forty “Blue Suede Shoes,” it became a legendary one in the annals of rock-and-roll and propelled Perkins, one of the original rockabilly singers, into his legendary status. Growing up in Tennessee with his brothers, Jay B. and Clayton, Carl learned to play the guitar and became quite proficient at it. 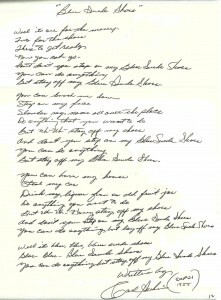 He listened to country music, gospel, and blues, and began to write some of his own compositions. At 13 he performed a song that he had written, Movie Magg, at a local talent show and won. He formed a group with Jay and Clayton called the Perkins Brothers. Carl played electric guitar and did most of the singing with Jay playing acoustic rhythm guitar, and Clayton the upright bass. Shortly after World War II the family moved to Bemis Tennessee, where the brothers worked in the cotton mills. Buck was unable to get a job in the mills because of a lung condition, and Perkins family went back to sharecropping. 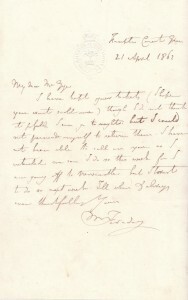 MICHAEL FARADAY MINT CONDITION LETTER FROM APRIL 21ST 1862 TO THEATRE DIRECTOR, FREDERICK GYE. OWN A PIECE OF HISTORY, MAKE AN OFFER TODAY!